2018 was another positive year for the Docklands Residential Market with selling prices up 4% and rental values up 8.7%. This does confirm a moderation in price inflation compared with the 13% increase in 2017. This is due to an increase in the supply of apartments (up 30% compared with 2017), Central Bank of Ireland mortgage lending regulations impacting on affordability and some hesitancy from investors given the strong recovery in values, rent cap regulations and of course Brexit. Sales up to €450,00 were very strong with prices up 7%. In the rental market supply is still not coming close to meeting demand. Only 19% of our tenants are Irish though this is an increase on 2017. We are noticing more Brexit related demand and the average salary of our tenants has increased to €117,095 compared to €57,000 in 2015. The outlook for this year is very positive. 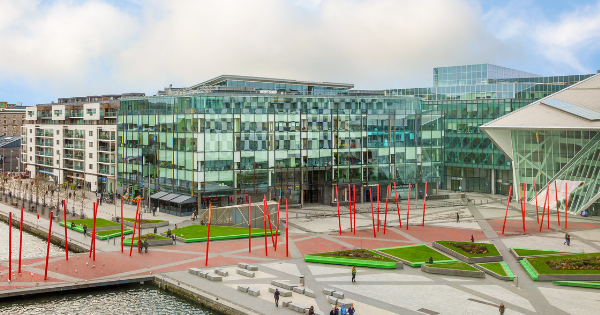 Given there is enough office space planned or under construction to accommodate 40,000 workers in the greater Docklands area and the various schemes planned that will further cement Docklands as the most sought after city quarter in Dublin, I am confident capital values will increase in the region of 5% this year. The supply/demand mismatch in the rental sector will continue for another couple of years so I predict rental values will increase at least 8% this year and I believe improved rental yields will encourage more investors to buy.